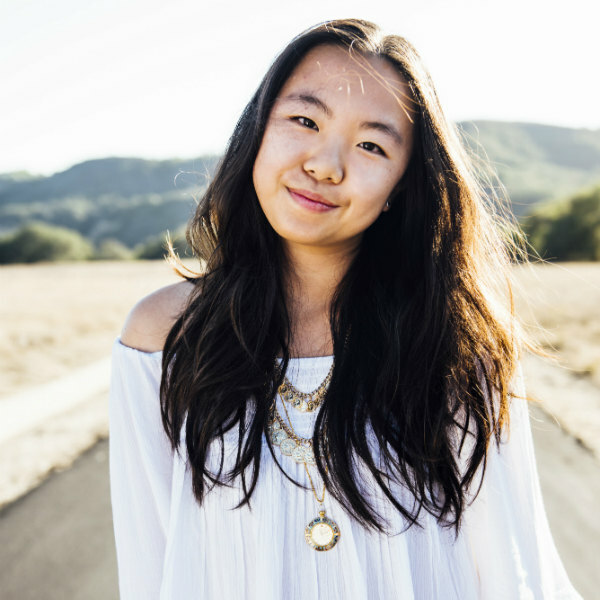 Talent Show, Birthdays, East Coast, New style + more! -My talent show's coming up! I hope i get to go see ittt!!!!!!!!!! Take your scarf and fold it in half(unless your scarf is short enough). Drape in on your neck. 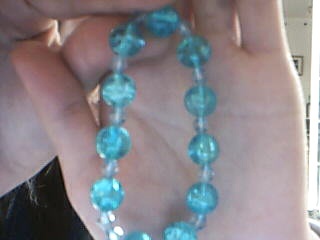 Here's the bracelet I'm going to use...it's turquoise, so it's the perfect pop of color to my dark navy blue scarf. Now, slip the bracelet on from the bottom of the scarf and place it where you desire. 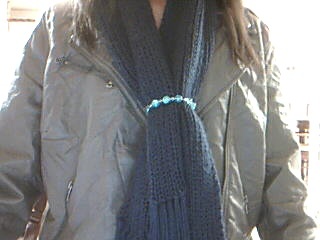 If your scarf is thin, I suggest wrapping the bracelet twice around the scarf so it doesn't fall out. -This look (above) is soooo cozy/cute/warm! 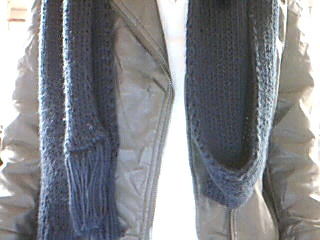 When the scarf creates a "V" on the top, it surrounds your neck and keeps you warm all day! + If you want to take off your scarf, you'll have a super cute accessory too! But do you guys have any suggestions on what to bring to the east coast (northern part), the weather there in April, etc. SPREAD THE WORD ABOUT MY BLOG pleasee! oh yeah! Comment below! This size font? or my small font? thnx! Be unique, Be different, Be you. 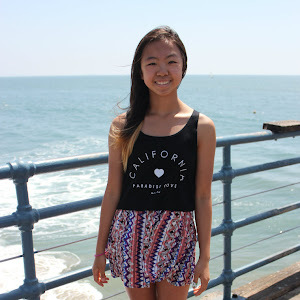 Please leave a comment below and follow my blog! I LOVE THIS BOOK! i've been meaning to get it b4 but it was too expenisve and it wasn't one of my "Must Have" books(; But when borders was getting ready to close and everything was on sale, I jumped at the chance. oh...don't mind those pink post-its. I just marked pages that were really helpful for my personal needs(: As you can see..thats a lot. She has a lot of good tips in this book. It was $19.99, so with 20% off, it came out around $15.99. I actually wasn't going to get this book but when i called my cousin to tell her about Borders, she "persuaded" me to buy this. haha i'm reading this at the moment and it is SO GOOD. I love it~ There's going to be a third boook! 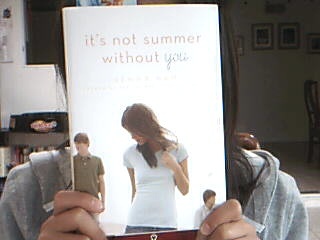 yayyy~♥ I dont think you can see the author, so it's by Jenny Han. 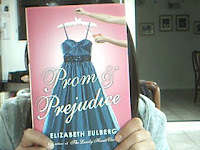 So the reason why i got THIS book was bcuz of youtube(: There was that Prom Sweepstakes and it was from this book! So i had to buy it. 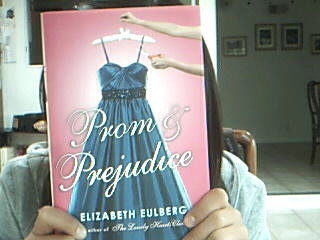 Besides, theres a dress and a pink background on the cover. How could i not buy it? 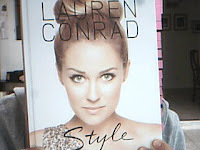 This is the 3rd book from Lauren Conrad's L.A. Candy series. 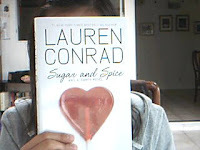 I CANT WAIT TO READ IT! 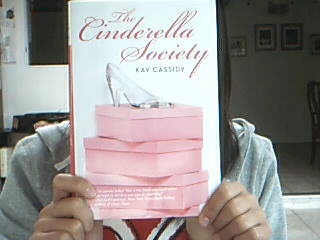 ohmgee~ hahah isn't the cover cute? So the only book i read was Lauren Conrad's Style book and I'm reading It's Not Summer Without You at the moment. 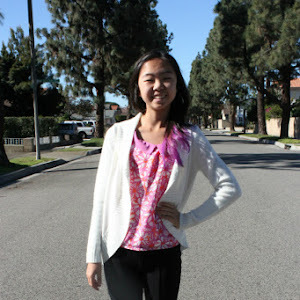 Flowy floral tank tucked into my jeans (which were paired with a brown braided belt). mhmm~ That's right you guys, beh jealous of mah snazzy (what?) converses(: They're gray w/ purple shoelaces. The back is just some string that you can tie into a bow. -So today there was a meeting at my school talking about a fashion show that would take place at a nearby school. The theme of the show this year is "Glow in the Dark". Now, I didn't participate in last year's show, so I'm pretty new to this. But I have SO many ideas! I have been LOVING these two necklaces(: They're both birthday present's so I don't know where they're from (given from different cousins). The 'S' initial is pretty short and reaches up to the middle of my collarbone. The Key Necklace is also mah lucky charm(; It's SO cute! It's just a bit longer than the 'S' necklace. It has rhinestones where the heart is.